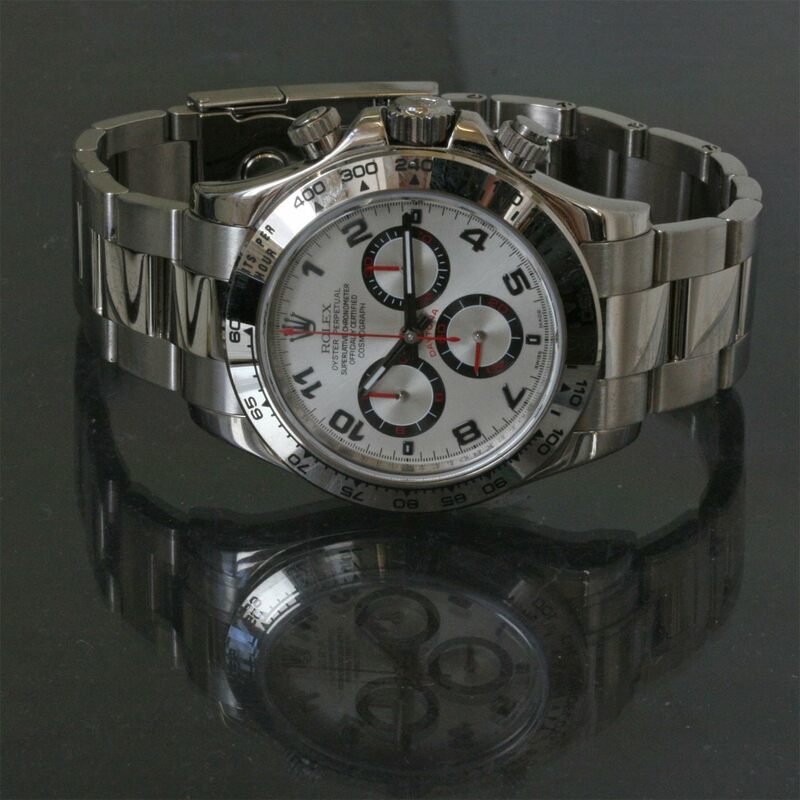 Product code: 844 Categories: Sold Items, Sold Rolex Watches. 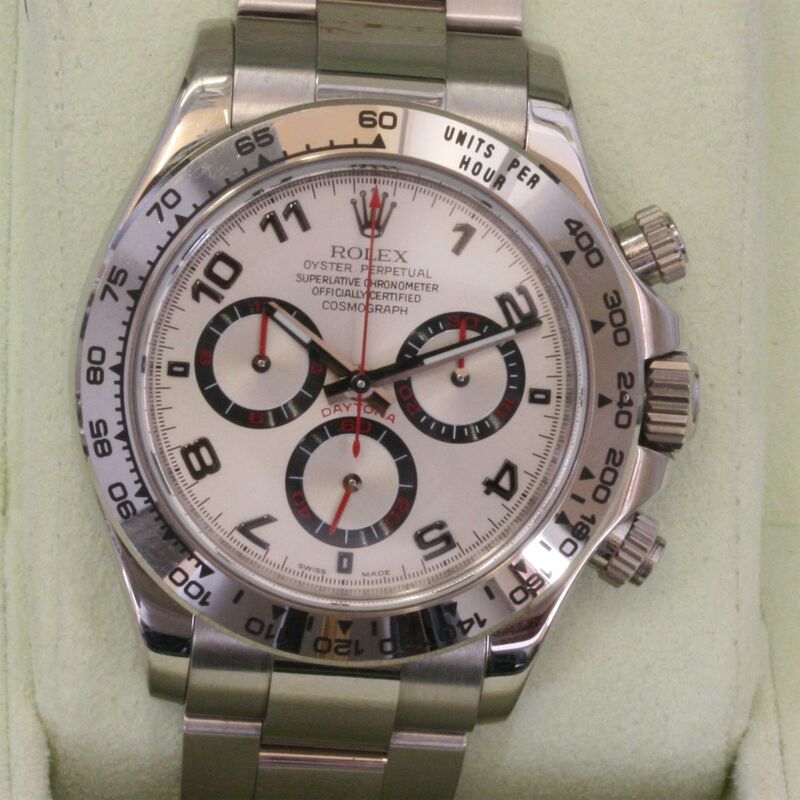 If there is one Rolex watch that is sought after and so hard to find, it is without a doubt the infamous Rolex Daytona Cosmograph, and here we have the top of the line in solid 18ct white gold. Fitted with a 44 jewelled automatic movement with a power reserve of 72 hours, it of course keeps perfect time. The 18ct white gold case measures 40mm, and the dial with the chronograph and tachymeter scales looks sensational. 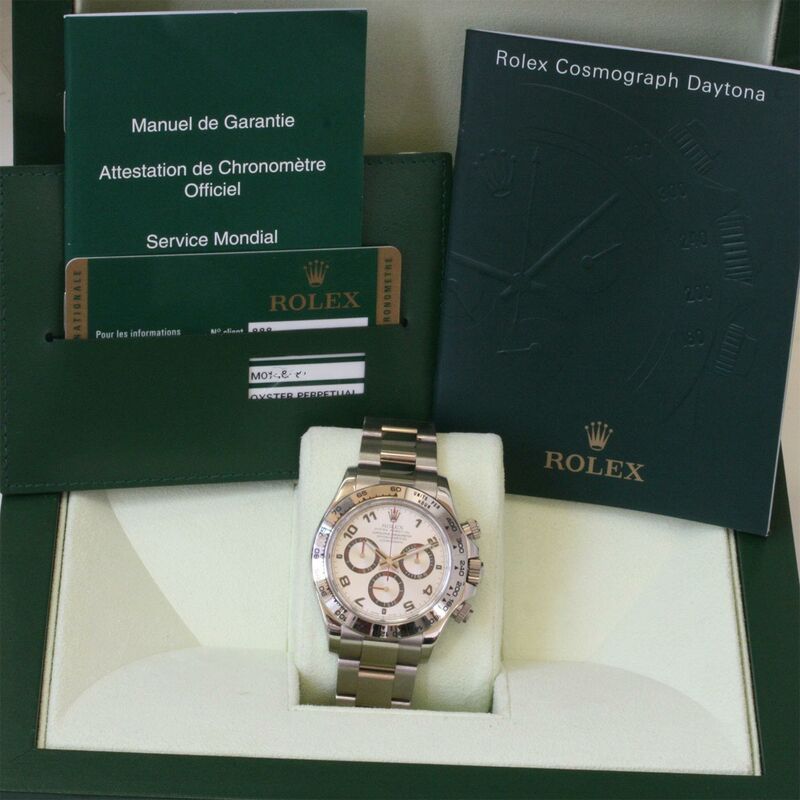 Long regarded as the pinacle of Rolex watches, this Rolex Daytona is for the person who wants the ultimate Rolex watch. This watch is simply superb – there is no other word for it. Being in 18ct white gold, it is more solid and heavy than the steel version and will make everyone envious of the watch and yourself when you wear it.